Every so often I enjoy dipping into the world of Regency romances, particularly when I've got a lot going on in real life demanding thought, careful planning, or loads of time. They're totally candy reads, and at times, they are exactly what I want. Incidentally, though these two are sold through the LDS (Mormon) market, they don't have any mention or hint of Mormonism in them. (That would be very awkward and unlikely, anyway, given the time period and setting, but thought I would mention it in case you were curious.) What I like about reading romances through LDS publishers is that I can pick them up, knowing they will be clean. There was a handful of overlapping characters between the two. In a society where what matters most is physical beauty, Amber is on top and means to stay there. She has her pick of men at the balls and is almost set to make a very advantageous match. Then she experiences a devastating event--for some reason, her hair begins to fall out and thin. It's not long before her prospects follow suit, and one devastating ball crushes all her hopes. Instead of earning her mother's approval (finally), she is now officially the family embarrassment, and gets packed off to a tiny cottage far from the reaches of society and any further chances to ruin her parent's reputation. All of a sudden, she must find out if there is more to herself than what was on the outside. This was fascinating to me on a medical level. I've read one other book about a child's experience with alopecia areata--an autoimmune diseasing where your body destroys your own hair follicles, causing patchy or overall hair loss--but this was the first featuring an adult protagonist. Then to set it in the Regency era, with its intense focus on outer image made it all the more interesting. 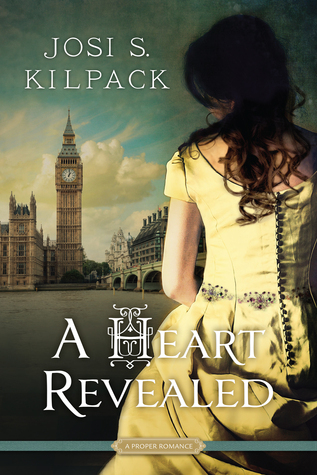 I thought Kilpack did a good job imagining how such a thing would be received--or not--back then. I was lukewarm about Amber herself, although I suppose to show significant growth she had to start pretty low. Likewise, the romance didn't draw me in very much. Amber's maid was the true heroine of the story: honest, loyal, and self-sacrificing. 3 stars: A mismatch that may over time become true love. Lord Fenton lives to get under his father's skin, which means the more outrageously he dresses, flirts, and spends money, the better. What he doesn't expect is a comeuppance. After all, Father still holds the reins. Unless he wants to be disinherited completely, Lord Fenton must clean up his act and begin behaving responsibly. As much as it galls him, he decides to do it for the sake of his mother. Unfortunately, there is one other condition to his reprieve: he must get married. It's an item on an infuriating checklist, and he takes his mother's first suggestion without batting an eye. 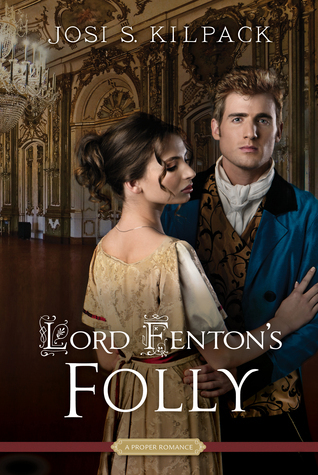 Meanwhile, Alice has known Lord Fenton since he was boy, and has always had a crush on him. When he proposes, she can hardly believe it! However, as time goes on, it becomes more and more apparent that his heart is not in their relationship. As in, he is actively avoiding her. When she discovers the truth--that he proposed simply to fulfill a requirement--her heart is broken, but her resolve is not. She will not be made the fool of, even if means packing away her fondest hopes and trading them for a marriage of convenience and insults. Lord Fenton's complete lack of respect for his father translates into lack of respect for himself and others, unfortunately. Not until his engagement to Alice does he begin to see beyond himself and his issues a bit, but it takes quite some time. In fact, it doesn't happen at all in London--it takes removal to one of the family's country estates, where shocking family secrets come to light. As you might infer here, I didn't like the leading man all that much. He was selfish and immature through most of the book. Alice was slightly better. At least her bitterness and resulting actions were covering up a genuinely broken heart. It was satisfying to see them both make some needed changes and growth towards the end. Almost caught up with last year's books! More reviews coming soon! I've read both of these and liked A Heart Revealed a bit more than you. I found it fascinating to think about having such a condition in those days. And having to fend for oneself after having your life, your plans and expectations upended. Whether Amber could have really changed that much is unsure. But today, when many cancer patients go bare-headed and so many women have short hair and men shave their heads, we look at hair or lack of it very differently. It would have been devastating even if she had a supportive family. That's really true! Today it could be construed as making a statement, if the sufferer chose to shave it all off and go that way with it. Back then, that just wasn't an option.